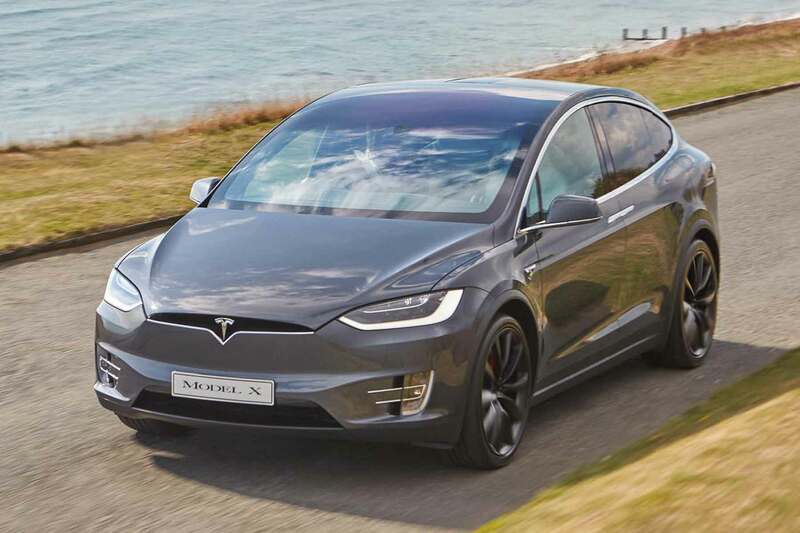 The cost of buying an electric car will match conventional petrol or diesel models by 2025, say experts at Auto Trader. This “tipping point” will see electric vehicle (EV) sales equal and then overtake internal combustion-engined (ICE) rivals. 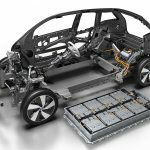 By 2030, the majority of new cars will be battery-powered. 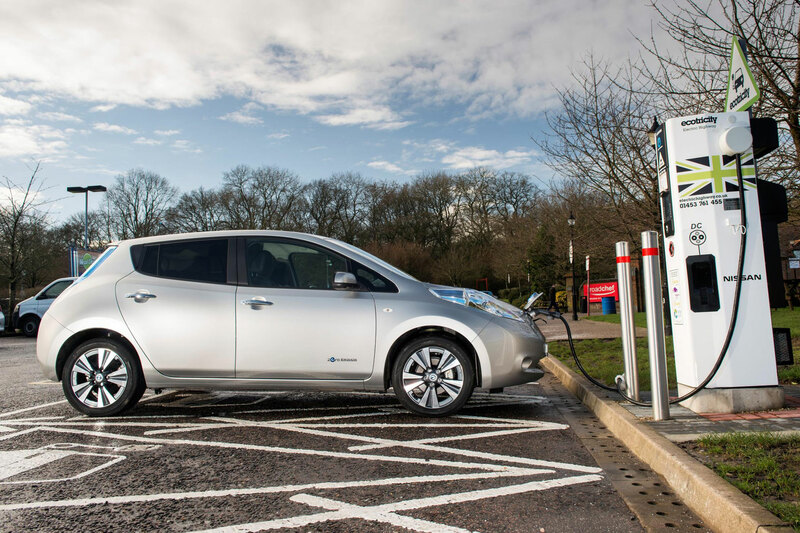 More than 99% of UK journeys are within the range capability of today’s EVs. However, upfront cost remains a stumbling block for many. 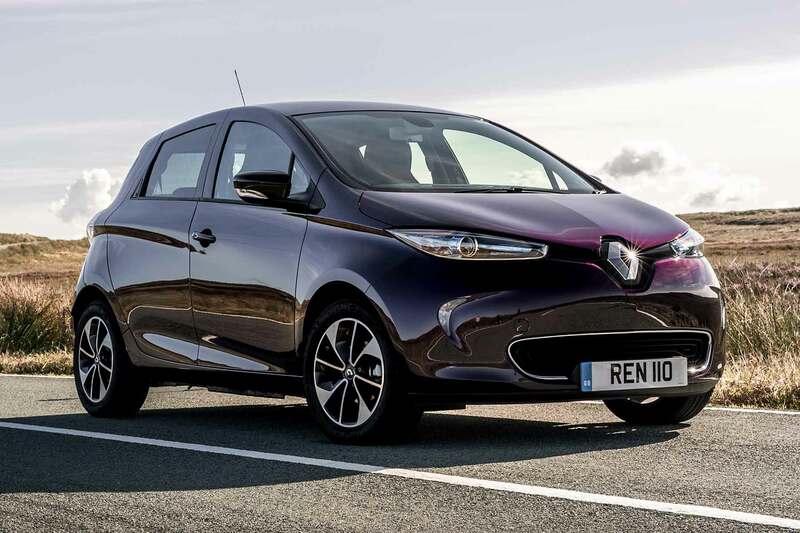 A new Renault Zoe costs £21,920, while an equivalent Clio diesel starts from £15,695. 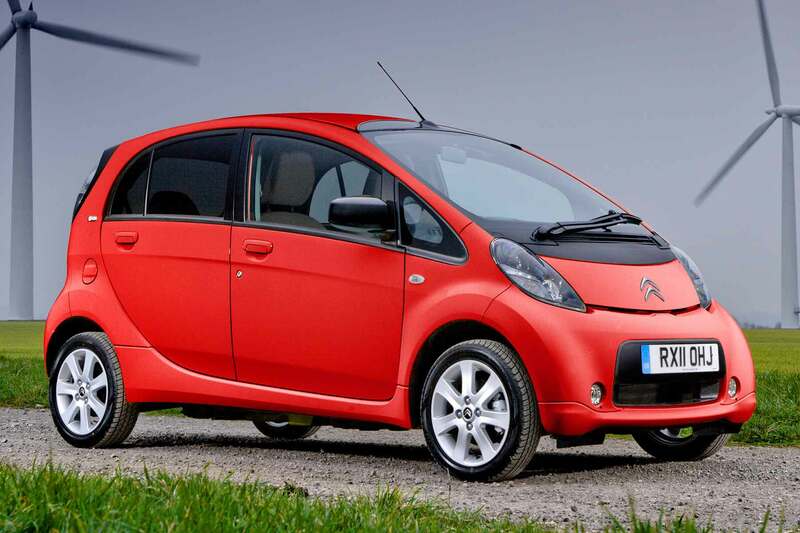 Equally, the average price of a second-hand EV on Auto Trader is £17,744. That compares with £10,550 and £14,390 for used petrol and diesel cars respectively. 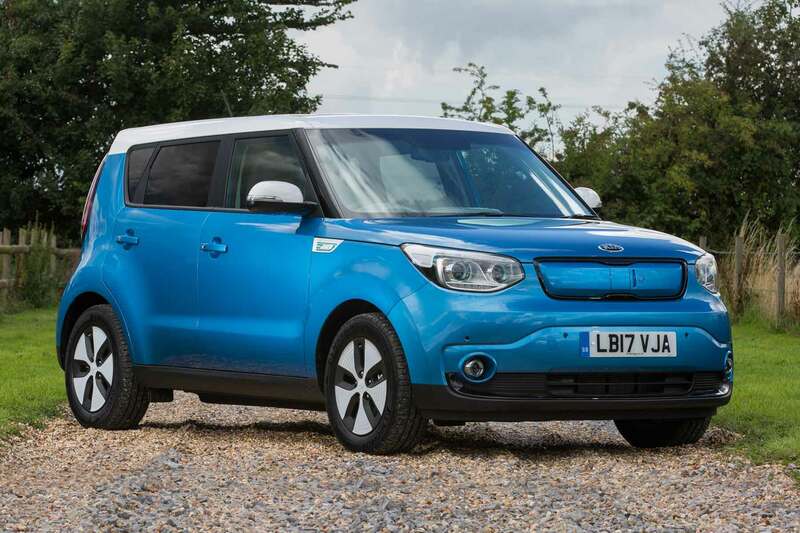 Ian Plummer, Manufacturer and Agency Director at Auto Trader, says EV prices will tumble over the next six years. 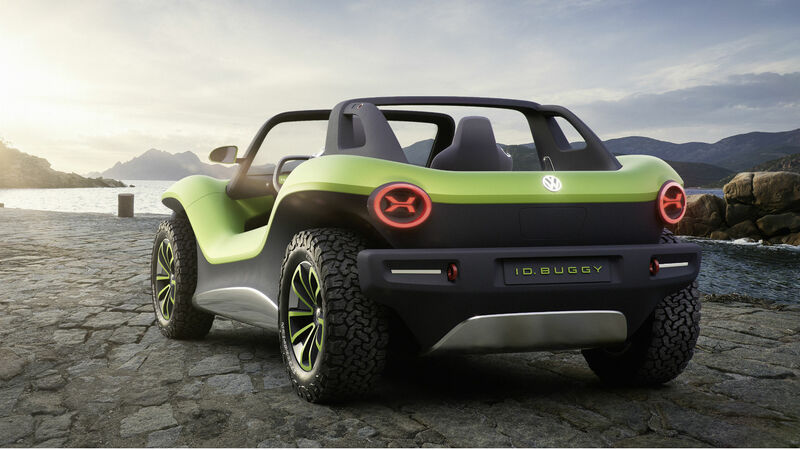 He highlights Volkswagen’s innovative MEB platform – used for the ID Buggy concept, pictured above – as one example of how costs will be slashed. 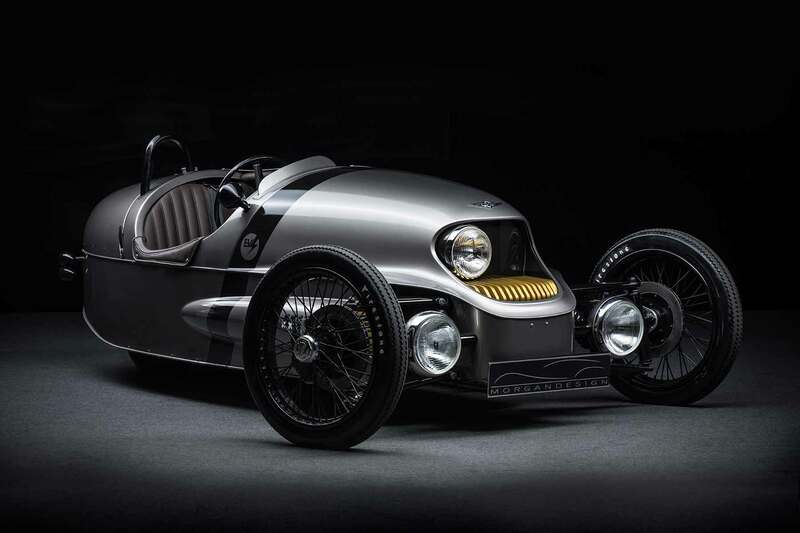 MEB is due to underpin a whole range of electric cars. Perceptions are changing apace, too. A year ago, just 25 percent of Auto Trader customers said they’d consider an alternative-fuel vehicle (hybrid or electric). Now, that figure is 71 percent. 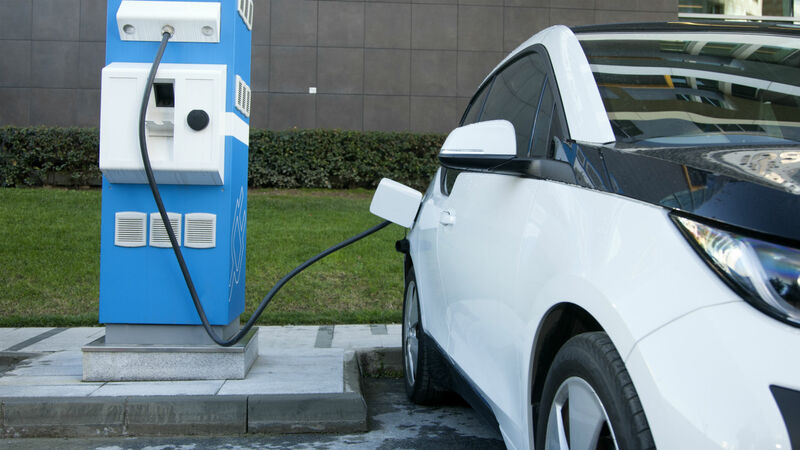 The key to mass adoption of electric cars, says Plummer, is collaboration: between car manufacturers, governments, energy companies, infrastructure providers and telecoms firms. 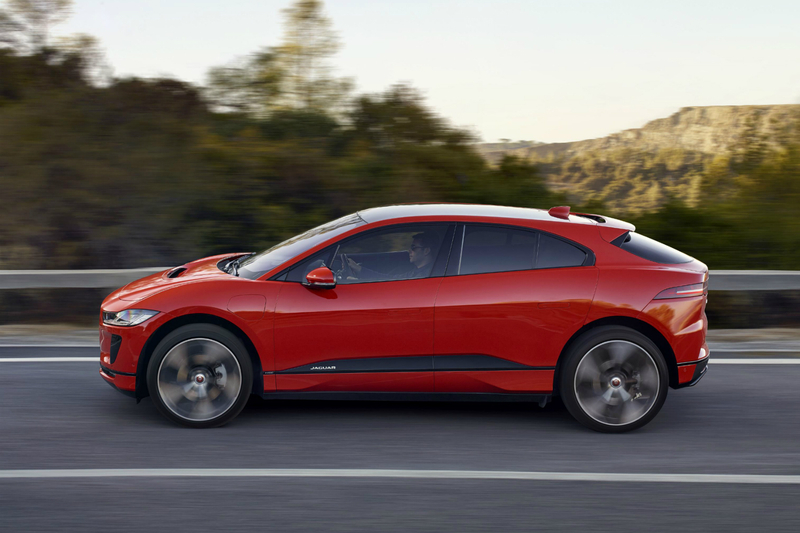 A new study by automotive data experts Cap HPI has revealed the average servicing and maintenance costs for electric cars. It shows that EVs cost, on average, 23 percent less to run than petrol vehicles over a three-year/60,000-mile period. For smaller cars, the gap gets wider still. 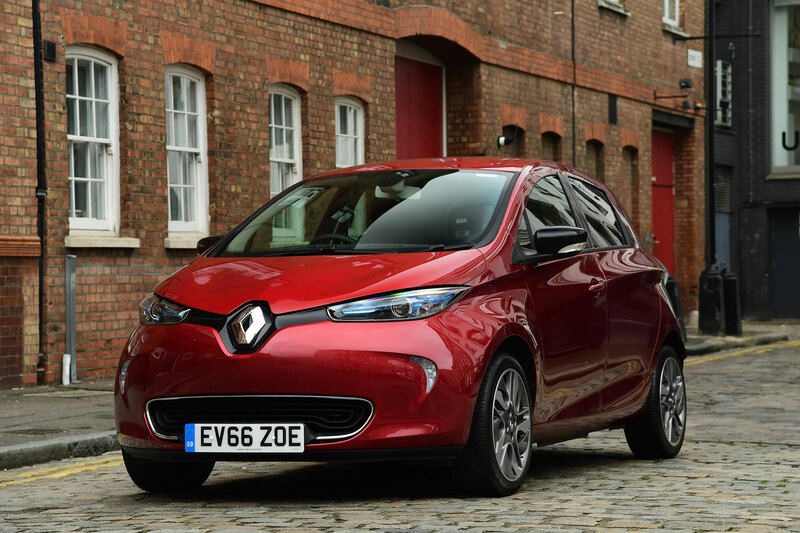 An electric Renault Zoe will set you back £1,100 in servicing and maintenance over three years, but a Vauxhall Corsa 1.0 90 Design costs nearly £1,500. That’s more than 35 percent extra. 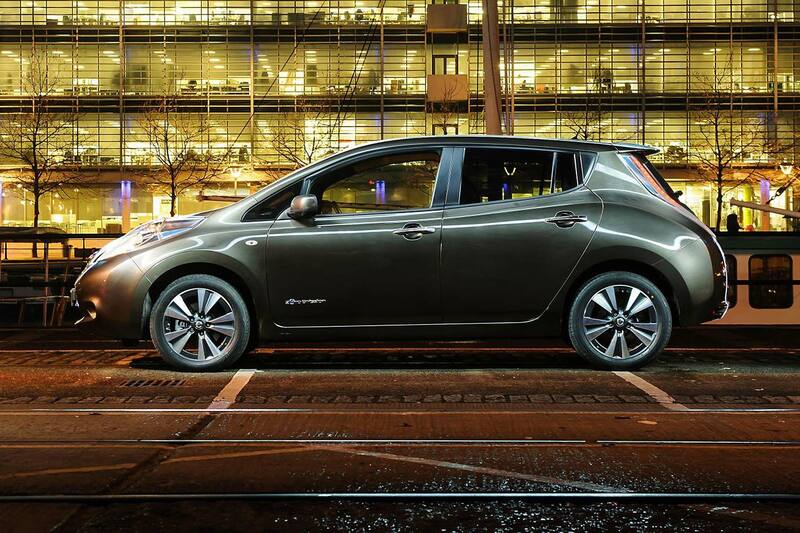 The Nissan Leaf, currently the best-selling EV in the UK, costs just under £1,200 over three years. Compare that to the VW Golf 1.0 TSI at £1,429 and you’re staring at a saving of nearly 20 percent. 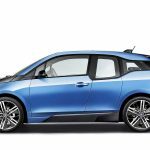 The number of electric vehicles on the road has jumped by 128 percent over the past three years, with more than 21,000 drivers taking the leap between April 2015 and April 2018. 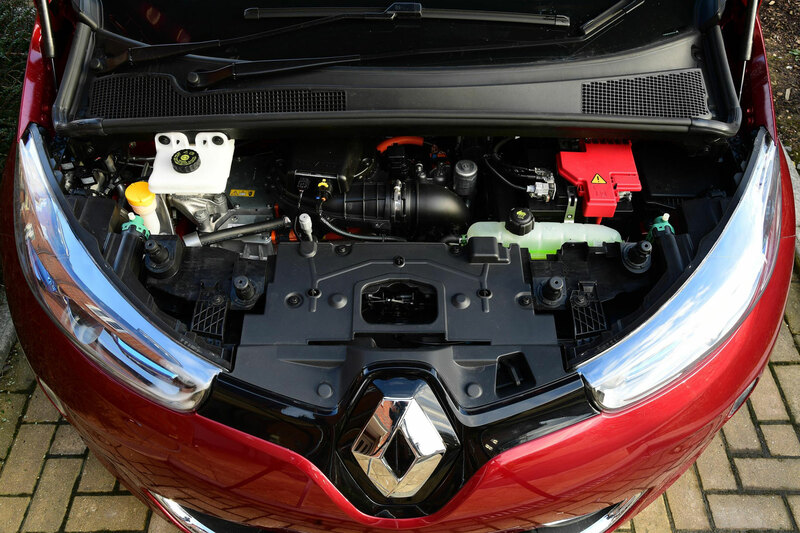 Purchasing costs are still notably higher than a comparable petrol-powered car, but servicing is where you can potentially claw that back. 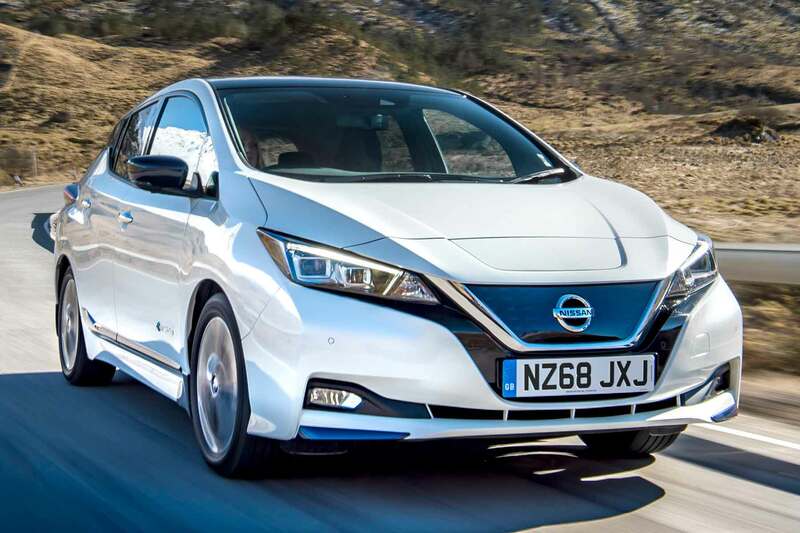 As for the most popular EVs, the Nissan Leaf leads the BMW i3, Volkswagen e-Golf and Renault Zoe in the sales charts. 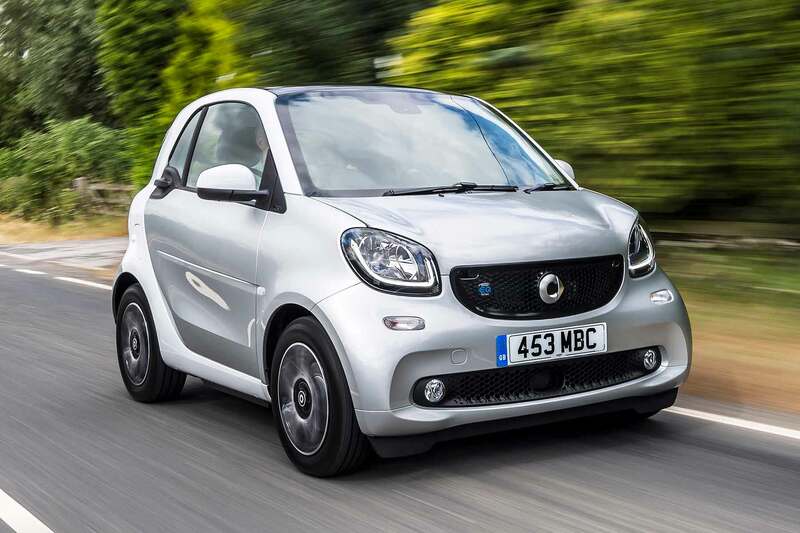 “An electric car motor has far fewer moving parts than a petrol or diesel engine” said Chris Plumb, senior valuations editor at Cap HPI. https://www.motoringresearch.com/wp-content/uploads/2018/10/1537529_Nissan-LEAF-2018_122.jpg 1200 1800 Ethan Jupp https://www.motoringresearch.com/wp-content/uploads/2018/12/mr-top-motoring.svg Ethan Jupp2018-10-16 12:24:232018-10-16 12:24:23How much does servicing an electric car cost – and is it cheaper? This could be one of the most controversial vehicles amongst eco-car enthusiasts since a Bluemotion-badged diesel Volkswagen. It’s the Mitsubishi Outlander PHEV: a 2.0-litre petrol SUV with an electric motor and an official MPG of 156.9. Yes, that’s 156.9mpg. 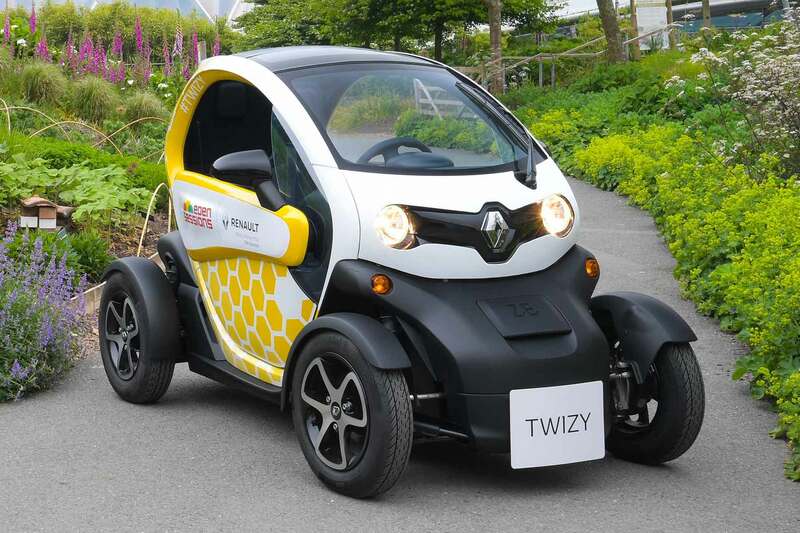 It works by running on electric (for an official range of 32 miles) after a full charge, with the petrol engine kicking in when the battery’s flat or you’re asking more from it than the electric motor can provide. So why’s it controversial? For a start, many owners are saying that fuel economy figure is little more than fantasy. Mitsubishi has retaliated, by saying the figure comes from the official NEDC tests – not the manufacturer. Essentially, as most of the tests are done while the Outlander’s battery is charged, it uses very little fuel. 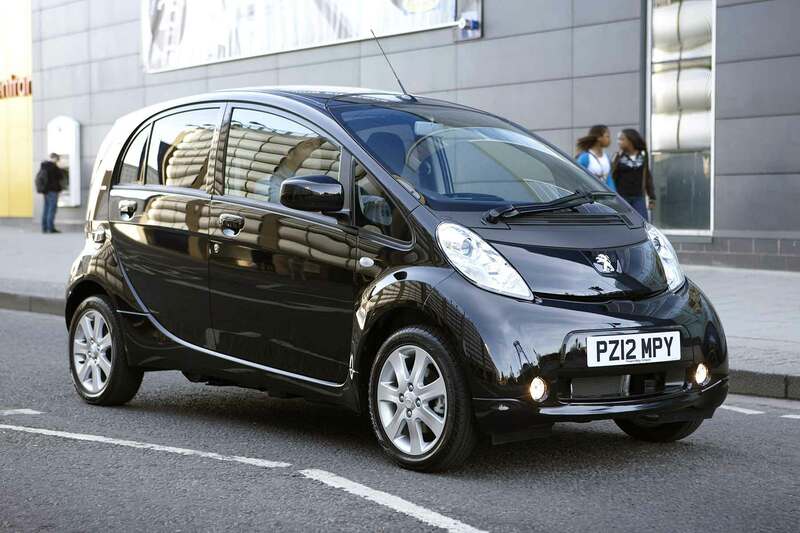 For the same reasons, it’s classed as having extremely low emissions (42g/km). That means it works as a bit of a tax dodge for company car drivers, who pay very low (7%) BIK tax, but will spend most of their time running it as a thirsty petrol SUV without ever charging it. My final weekend with the Outlander. The last couple of days with a car that, even after six months, I still hadn’t really bonded with. A road trip was in order – so a Friday afternoon dart up the M1, onto the M6 and across the M54 to visit my folks in Shropshire. 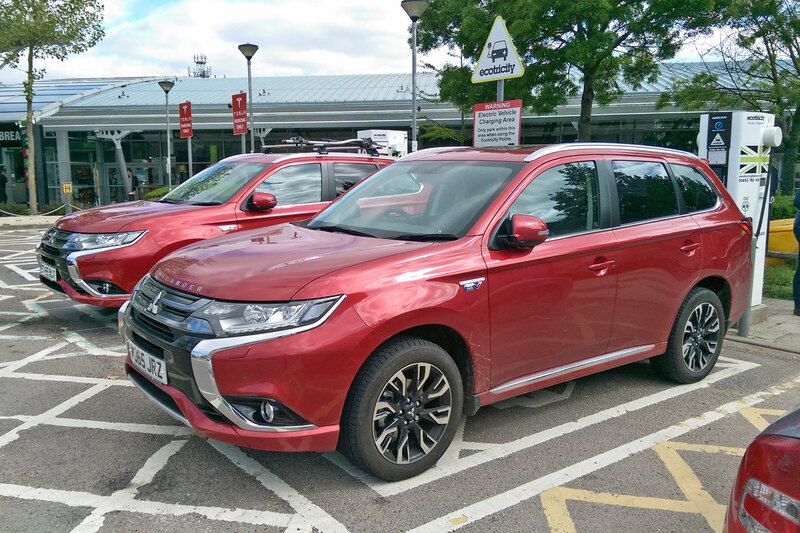 A stop off at Corley Services saw me parking alongside rows of dirty diesels – stumping up £6 to charge at Ecotricity’s charge points makes no financial sense in the Outlander. Clearly I’m not alone in my thinking – a Nissan Leaf was parked nearby, away from the chargers, which remained unused during the couple of hours I spent trying out Starbucks’ delicacies. Despite not being able to charge at Corley, a 40.0mpg average during the gentle motorway run was adequate, and I do appreciate the comfortable, leather seats and high-up driving position the Outlander offers. A weekend ferrying my parents around and they had nothing but good things to say about the Outlander – not only was it comfortable, it also looks good on their driveway (an important consideration, apparently) and moves away in silence. How modern. Unfortunately, the end of the weekend – and the end of my tenure of the Outlander – didn’t go to plan. A passing Audi on a rural road flicked up a stone, causing a chip in the windscreen. Within moments this had turned into a large crack. Great. This cracking goodbye aside, what are my final thoughts on life with the Mitsubishi Outlander PHEV after six months? Well, it has sort of convinced me of the merits of plug-in hybrids. I like the fact that my 20-mile commute could, in theory, be completed under electric power alone. And I enjoy the feeling of driving the Mitsubishi Outlander when it’s fully-charged – running a diesel feels like a backward step once you’re used to creeping around town in silence. Anyone who does regular longer journeys will be better off with a diesel, however – but then, we already knew that. 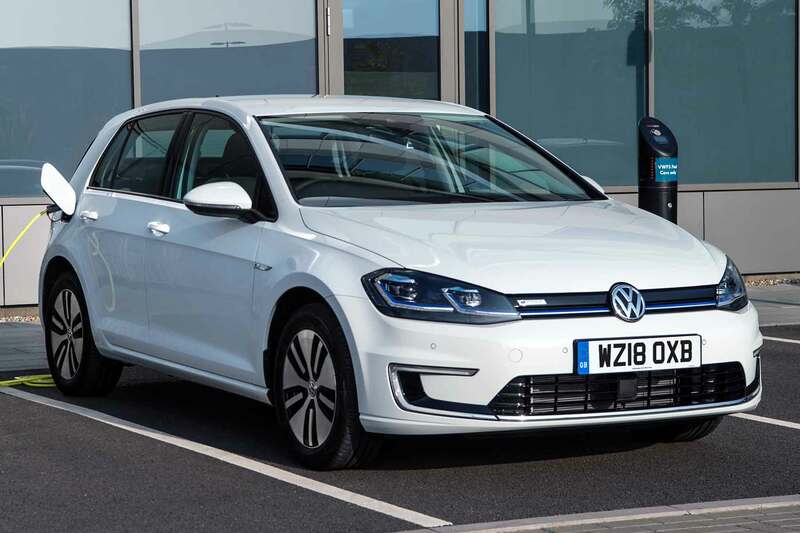 Plug-in hybrids make little sense if you don’t charge them regularly – and now Ecotricity has introduced its £6 charge, you’re even less likely to do that if you’re a business user. The plug-in element aside, the Mitsubishi Outlander isn’t a bad car. The interior isn’t anything special – but it’s better than it used to be – and the infotainment system is pretty woeful to use. There is no enjoyment to be had in driving the Outlander, either (perhaps Mitsubishi could learn from cars such as the Passat GTE – hybrids can be fun), but it does the job of being a practical mode of transport with a minimum of fuss. Would I recommend one? Maybe. If practicality is high on your agenda, perhaps for whatever reason owning a four-wheel-drive would be handy, and you can charge it regularly, the Outlander PHEV will be worth a visit to your nearest Mitsubishi dealer. 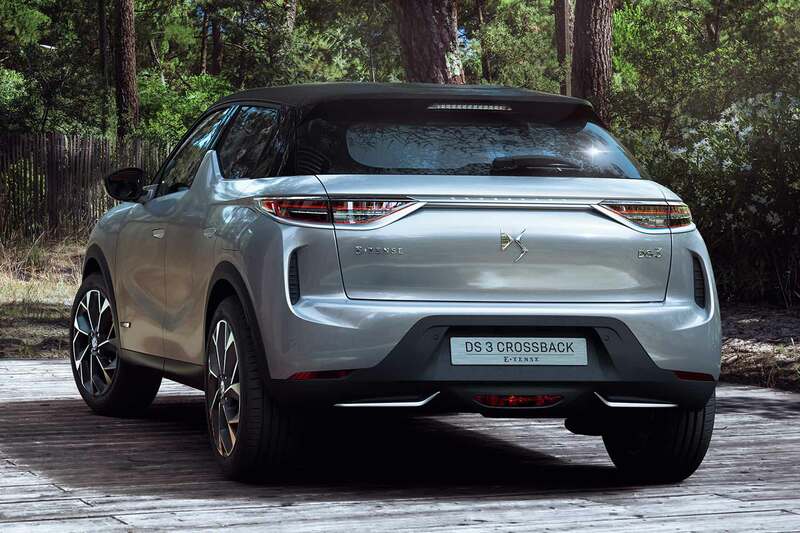 If, however, you’re a business user wanting to cash in on the Outlander’s green credentials (and the benefits they bring), you might want to take a look at the changes about to be brought in by Phillip Hammond. You’d probably be better off with a diesel – especially if you’re paying for your own fuel. 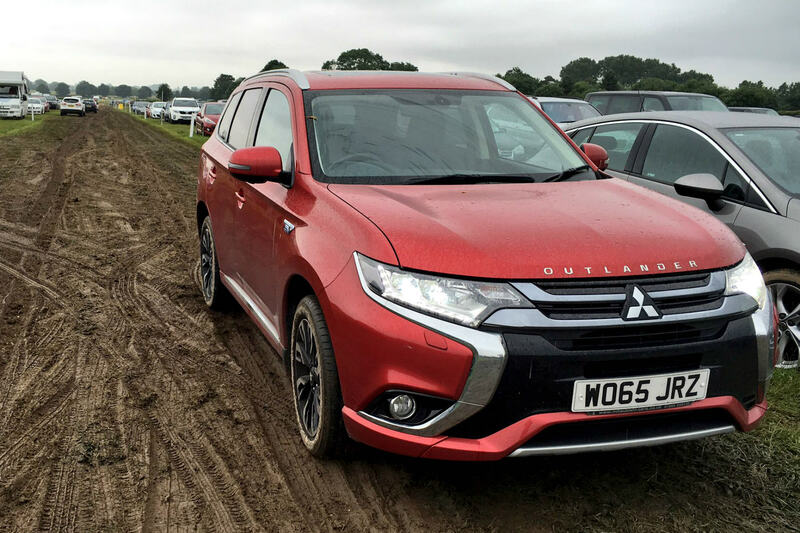 Month five: is the Mitsubishi Outlander PHEV a good family car? 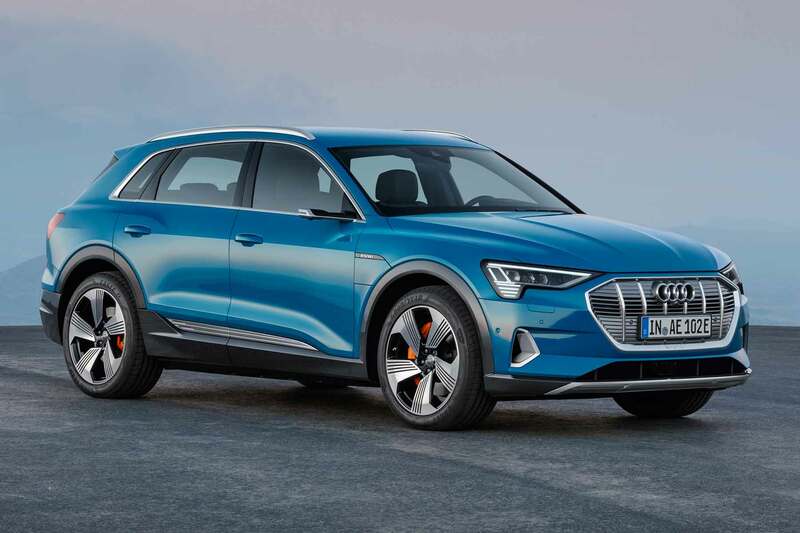 I’m rather conscious so far that my updates so far have concentrated largely on the EV side of the PHEV – and most buyers will treat it simply as an alternative to a diesel SUV, and actually charging the thing will be a tiny part of ownership. So how does it stack up as a family car? For a start, you can’t get an Outlander PHEV with seven seats. You can get a diesel version with an extra two seats squeezed into the back – but the battery on the hybrid version eats into the space where these seats would be. So if you’ve got a big family, it probably isn’t going to work for you. If you’ve only got a couple of kids, don’t dismiss the PHEV just yet. Although the battery does hamper boot space to a certain extent, it doesn’t eat into it massively. With the rear seats up, you get 463-litres of luggage room – 128 less than a five-seat diesel version. That’s still a sensible amount of luggage capacity, however. The Mazda CX-5, as a comparison, has a 503 litre boot, while the Hyundai Santa Fe has 585 litres. More, but it shouldn’t be a deal breaker. The rear seats split 60:40 and fold down flat, while the Outlander’s huge boot opening allows easy access. Head and legroom in the rear is good, while the leather seats (standard on our GX5h long-termer) not only look good, but are easy to clean – an important considerations for families with young children. Isofix mounts on the front and outer-rear seats means it’s easy enough to fit child seats, and children will probably enjoy the high-up seating position compared to an estate car. Combine this practicality with a five-star NCAP safety rating and a four-wheel-drive system for when the weather gets bad, and the Outlander PHEV makes a lot of sense as a family car. Month four: how does the Mitsubishi Outlander PHEV compare to the Volkswagen Passat GTE? The Mitsubishi Outlander PHEV has been a mightily-popular plug-in hybrid, with 11,786 sold in the UK last year. Before it came along in 2013, plug-in cars were traditionally a bit weird, and only bought by early-adopters. The Outlander offers a degree of normality – along with a high level of practicality – that means conventional diesel drivers can be tempted by the Outlander’s supposedly low running costs. But now other manufacturers are starting to cotton-on. Mitsubishi UK’s sales – a huge proportion of which are the Outlander – are down to 12,097 so far this year, compared to 15,414 at the same time last year. 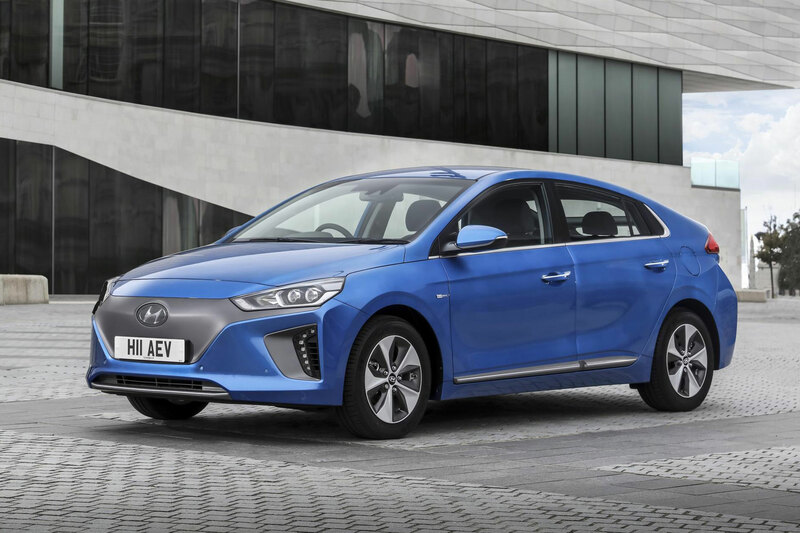 Along with drivers realising that plug-in hybrids aren’t always that economical (unless you regularly charge at home and only occasionally travel further than 20 miles), some of this could be down to the increase in rivals being launched by mainstream manufacturers. I’ve just spent a week with a Volkswagen Passat GTE. Not an obvious rival per se, especially in saloon form, but starting at £38,075 for the estate, you’d be wise to consider one alongside our high-spec £43,339 Outlander PHEV GX5h. The crucial stats for company car drivers are very close: 42g/km CO2 for the Outlander, compared to 39g/km for the Passat. That results in 7% BIK tax for business users, and free road tax for both of them. First impressions of the Passat, from someone who’s spent months driving an Outlander? The interior is wonderful – truly upmarket, boasting almost Audi levels of build quality. Despite being tweaked by Mitsubishi over the years, the Outlander’s interior leaves you feeling a little short-changed. It’s certainly not premium, but it does feel like it will stand up to day-to-day abuse from families fairly well. The infotainment system is one area in which the Passat has clearly benefited from the VW Group’s expertise. It’s lovely to use, really quick to respond and even the standard 6.5-inch display is easy to read. Like the rest of its interior, the Mitsubishi’s infotainment system is still behind the times, despite being improved when the car was facelifted last year. It takes an age to start up, is laggy to use and features are hard to find. Connecting your phone can be a challenge, too. This should get easier when the 2017 model arrives with Apple CarPlay and Android Auto – unveiled at the Paris Motor Show. The Passat GTE is already available with this as a £125 option. A smidgen tight when you can get it as standard on a new Vauxhall Corsa. 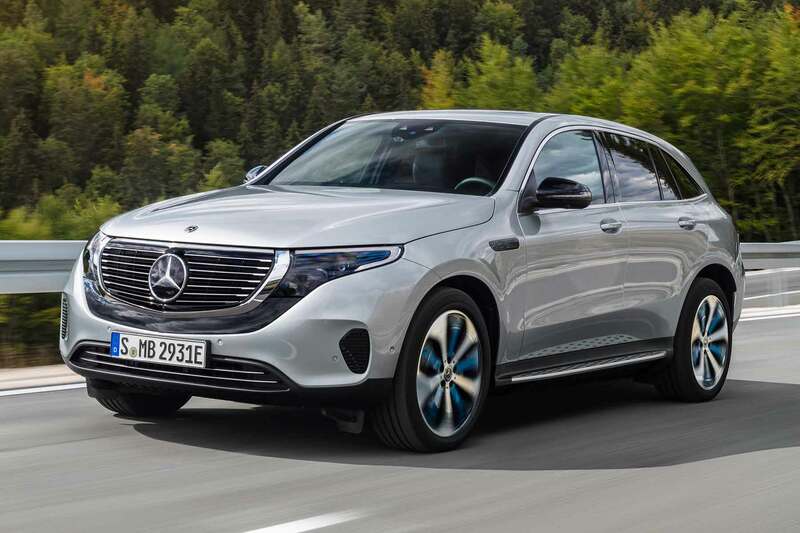 And then there’s the common denominator: the plug-in hybrid system that explains why we’re pitching these two unlikely competitors against each other in the first place. Both offer fairly short electric-only ranges (the Passat 31 miles, the Outlander 32), and neither should take the place of a diesel if you do a lot of long journeys. The Passat uses its system to offer that additional element, the fun GTE mode, and when the battery does run out of juice the petrol engine kicks in almost seamlessly. The Outlander makes a bit more of a fuss, grumbling into life and making its presence heard. And then there’s that CVT gearbox. The Outlander’s CVT ’box sounds strained if you’re trying to accelerate with the slightest degree of urgency (compared to the Passat’s lovely six-speed DSG), while the light steering isn’t confidence-inspiring. No, it’s not meant to be a sports car, but the Passat GTE proves parents can have fun, too. Hitting 62mph in 7.4 seconds, it’s the fastest Passat currently offered by VW. On the plus side, the Outlander’s high-up driving position offers an excellent view of the road that you don’t get in the Passat. It makes the Outlander feel like an airy, safe car for long trips – important for families, and great for quelling child sickness. And, of course, its four-wheel-drive system will help over the winter months or when tackling a particularly challenging campsite. The verdict? After a week with the Passat, I was reluctant to hand it back and take back the keys to the Outlander. Not only is the Passat more enjoyable to drive, the interior is leagues ahead and the technology behind the hybrid system seems more advanced. That’s my personal conclusion. Of course, the Outlander offers more space, and families will appreciate the high-up driving position it offers as an SUV. They’re not direct competitors and they will appeal to different buyers – but I know where my money would go. You may have seen the Airlander ‘flying bum’ in the news this week. It’s the largest aircraft in the world – a hybrid airship that’s more than 90m long and cost £25 million to make. Designed to be used in long-endurance surveillance for the US government before the project was axed and it was sold to the UK, the Airlander uses helium to get airborne and sounds much quieter than a conventional helicopter or plane. It’s stored at Cardington Airfield, around 15 miles from home for me. That’s within the electric-only range of a fully-charged Outlander PHEV – so it’d have been rude not to take our long-term Outlander to meet its bigger, flying cousin. A tenuous link, perhaps. But, just like the near-silent Airlander can sneak up on enemies in silence (while also being good for the planet), I’m really starting to appreciate the quietness of the Outlander PHEV when it’s freshly charged. My neighbours like the fact I can get away early, and arrive home at night, without the clatteryness of a diesel engine waking them up. The one evening I swapped the Outlander for a Porsche Cayman GT4, they picked up on how noisy it was in comparison. The Outlander’s quietness isn’t always a good thing. One day, I was taking the country road route home, driving the PHEV gently and trying to maximise its electric range. There was a pigeon in the road – I didn’t want to brake (that’d have a knock-on effect on my hypermiling), and presumed it’d fly away last minute. It didn’t. It was the slowest road kill ever. At around 30mph, I felt the poor pigeon get squished by the Outlander’s 18-inch wheel. It just didn’t hear me coming. Fortunately for wildlife, the Outlander soon runs out of charge. Yes, I’ve already gone over the benefits of the Outlander’s hybrid system, and I get that it’ll work for those of us who regularly do short journeys. But I still find myself wishing I could travel before before the petrol engine noisily kicks in. Month two: what’s the etiquette around charging? I wasn’t planning on writing my second update about the same subject as the first one. But charging is such a new thing for someone who’s so used to just filling a car with fossil fuels, there’s a lot to learn. And I don’t mean the intricacies of what cards I need to charge where. I’ve got all that sussed now, and I’m really getting into the hang of plugging it in regularly. No, I mean the etiquette. I use a charge point near our office regularly and, since MR’s Peter Burgess complained to the council that it was being blocked by non-electric cars, it’s now clearly signposted as a three-hour maximum parking space for charging only. That’s fine for me, I can charge almost entirely in three hours. But, as I mentioned in my last update, one e-NV200 van driver seems to park there regularly and leave it charging for an entire day while he no doubt catches a train into London from the nearby station. I’ve even seen the van blocking the space without charging – what’s the point? To save having to pay for parking, perhaps, but then I noticed he had a ticket on the windscreen. Conscious of people who unnecessarily block charging bays for those who need them, I’ve returned to the Outlander a few times to find a fully electric car parked next to it, clearly wanting to use my socket. 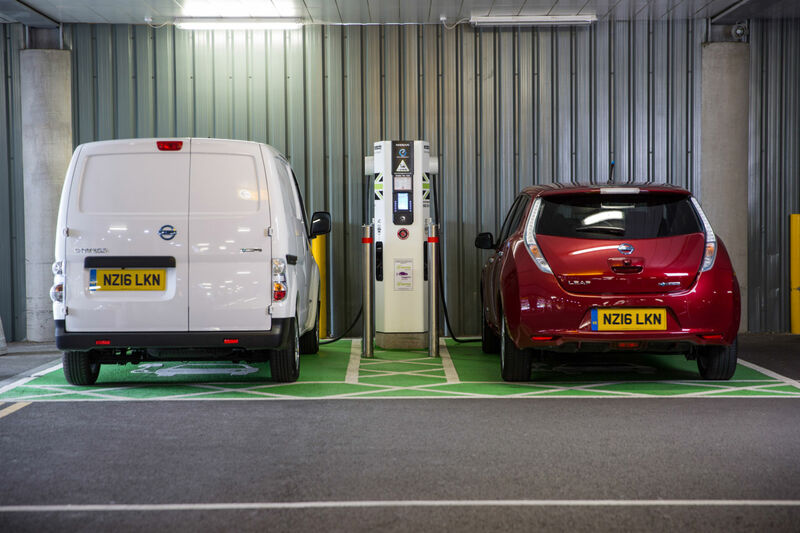 Most charge points have two – a fast charge and a slow charge. Naturally, if it’s free, most prefer to use the fast charge. @MR_AndrewBrady so you should, they are stuck whilst you have petrol. I think if you need to charge a phev you bought the wrong car. 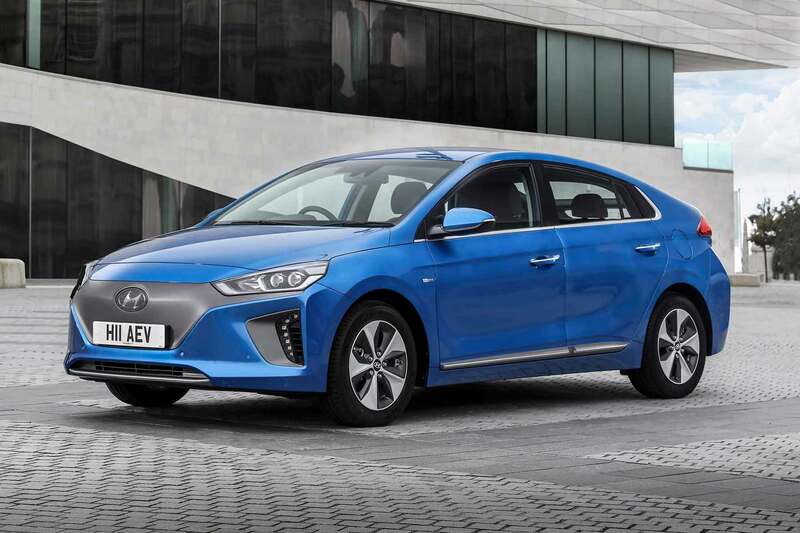 A smidgen harsh, perhaps – what’s the point of driving a plug-in hybrid if it’s never plugged in? @MR_AndrewBrady @Perrin21 Hi Andrew. Have you heard of @ChargeBump ? A good solution if it gets widely adopted. And many said I shouldn’t feel guilty. @Perrin21 @MR_AndrewBrady @CrackedW_Screen If it has a plug, it’s fair game. £1 saving or £100. Saving is over ownership, not your time. @EngageSportMode @MR_AndrewBrady first come, first served. Rapid chargers too. If it’s free, you can use it. But I do. So I’ve come up with a solution. Will it work? Find out in our next long-term update. 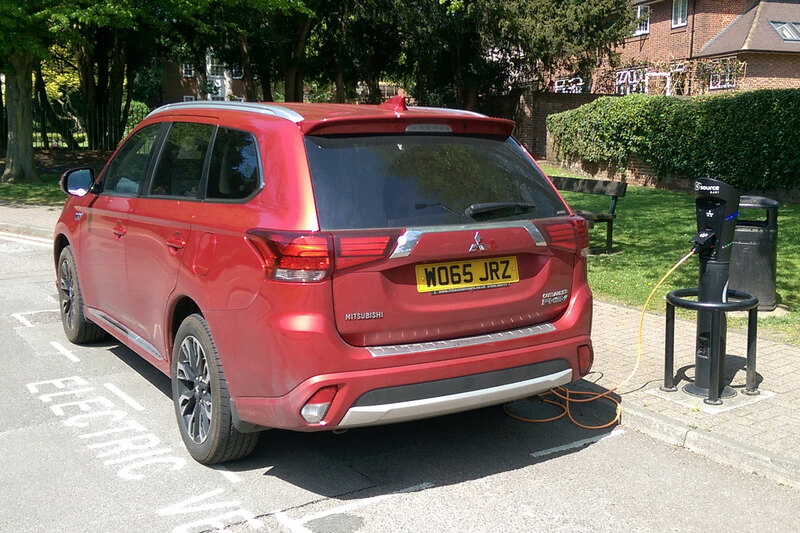 Month one: how easy is it to charge the Mitsubishi Outlander PHEV? As an introduction to plug-in cars, the Outlander PHEV is proving to be a real eye-opener. For a start, the UK’s public charging network is a bit of a shambles. Rather than being operated by one company, a number of different firms provide chargers in different places. So, the majority of chargers in the area where I do most of my driving are operated by Source East. To access those, I need a Source East card at a cost of £10 a year. For the use I’d get, that’s a bargain – so I was keen to sign up. Only Source East’s website is useless. It’s several weeks since I tried to join without any luck, and it still doesn’t appear to be working. Their customer service department isn’t responding to pleas for help, either. Chargemaster came forward with a solution. 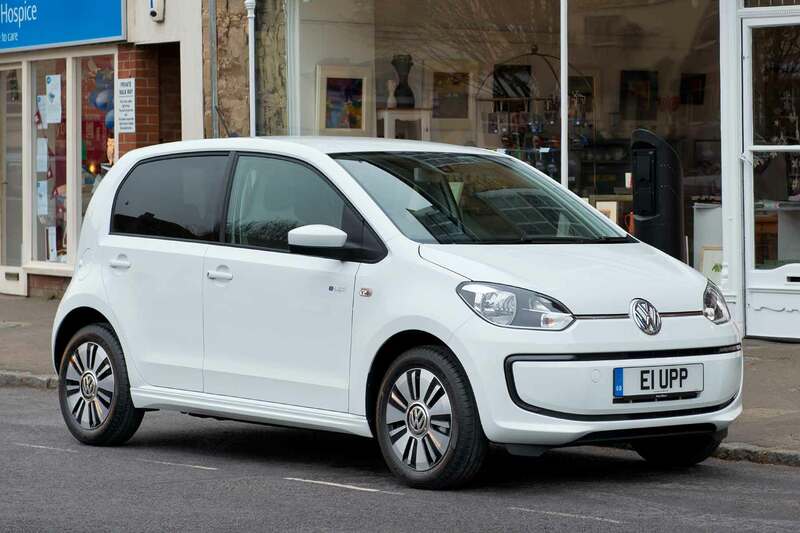 For £7.85 a month (after a six month free-of-charge trial period), you can use their Polar Plus network, which gets you access to 4,000 charge points across the UK (including those operated by Source East). More expensive, but it takes some of the hassle away of trying to find appropriate cards if I decide to travel further afield. So, with my Polar Plus card in hand, I headed to the one-and-only charge point located near our office. Chargemaster’s useful Polar Plus map not only helps you locate charging points, it also tells you what kind of charger they have, as well as whether they’re in use at that moment in time. According to the map, our nearest charger wasn’t occupied. But, despite signs saying the spaces are reserved for electric vehicles only, it was blocked by non-plug-in cars. How annoying. 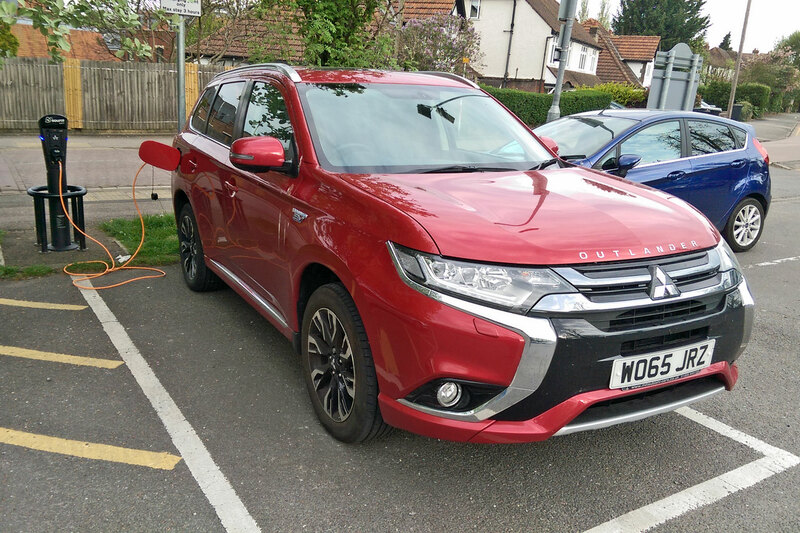 With an early start, I’ve found it is possible to park at the charging point near our office and give the Outlander a full charge (which takes roughly three hours… conveniently the maximum time you’re allowed to park in this space). But it’s not always possible. 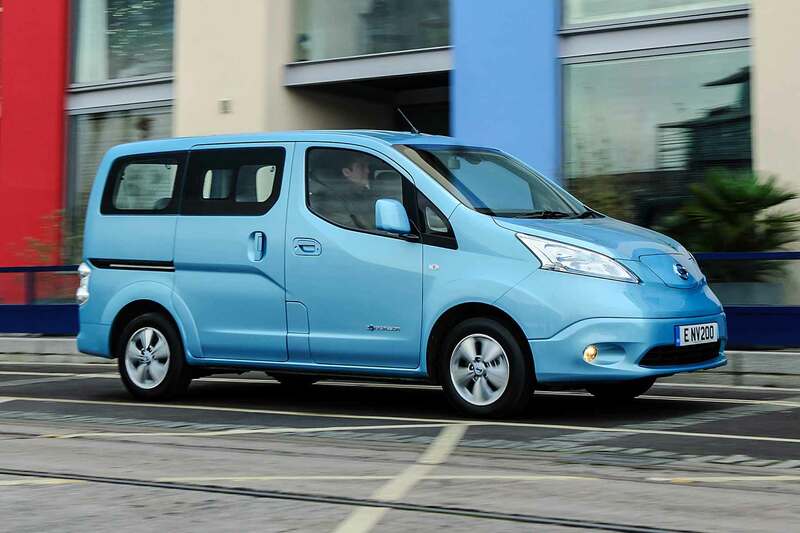 There’s one regular Nissan e-NV200 who often parks in the space and blocks it all day, ignoring the three-hour limit. When it is possible, it works out well. With a real-life range of around 25 miles, I can commute almost entirely on electric power and rely on the combustion engine on those occasions I need to travel further. One such occasion was a recent round-trip to Heathrow. The only public charge points at Heathrow are located at short-term parking, limited to three hours. If you leave your car there for more than three hours, you get hit with a ticket. And what use is that, unless you’re only visiting Heathrow to collect someone? I instead used a valet parking company, but they don’t have any provisions for electric car charging either. How difficult would it be to incorporate it into their service? 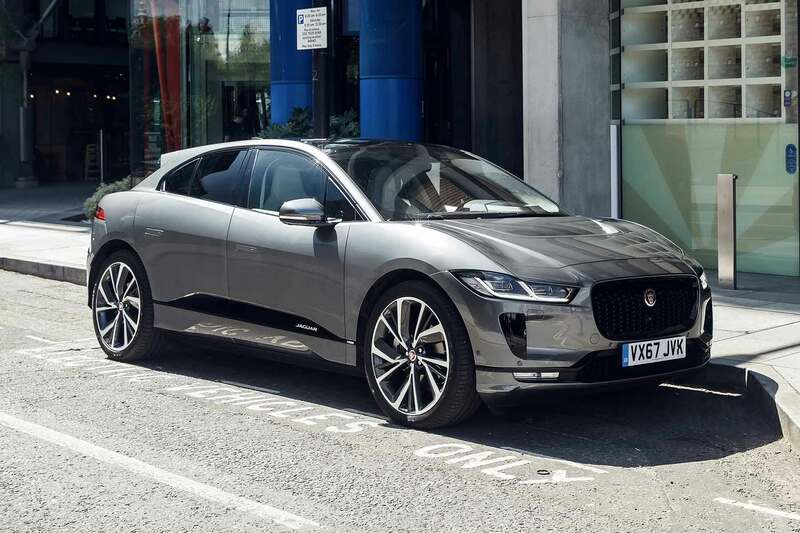 It could be a huge hit for anyone with an electric car within commuting distance from Heathrow. 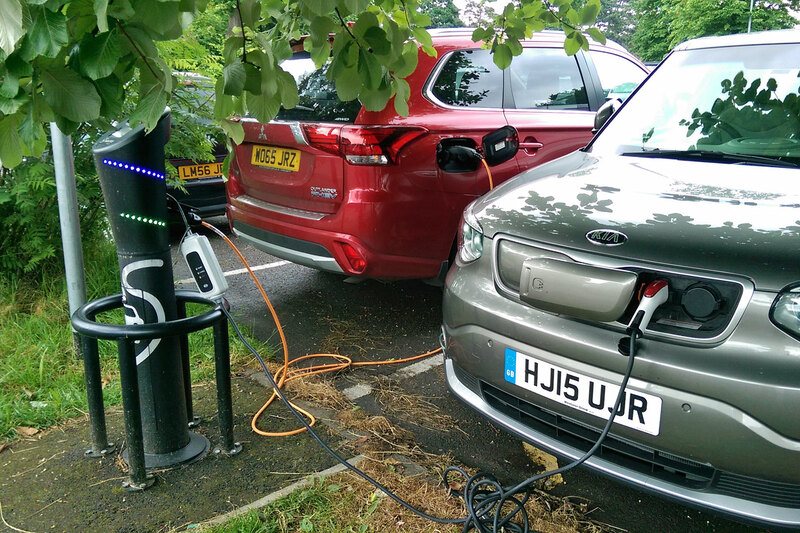 On the way home I could have stopped at the services, grabbed a coffee and given the Outlander a quick charge using Ecotricity’s fast charge point (using another card I’d handily registered for). But that can only charge to 80% giving me something like 20 miles electric range (probably far less at motorway speeds). That would have saved me around £3 in petrol – or, roughly the cost of a coffee I would have bought to pass time waiting for it to charge. I couldn’t see the point, so I drove the Outlander PHEV like a big, petrol SUV carrying an empty battery in a manner of someone who wanted to get home from the airport. The result? 24mpg. Ouch. Fortunately, we’re spending six months with the Outlander, but we’ll see if it starts to get more convincing over time. So far it’s proving to be slightly irritating to run – but that’s more down to the infrastructure rather than the car itself. 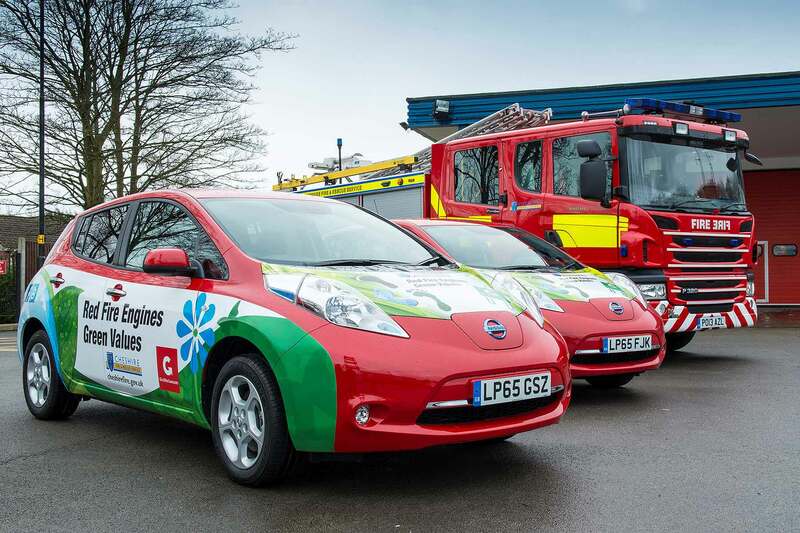 11 UK organisations are among the first to gain ‘Go Ultra Low Company’ status for their early adoption of electric cars – and one, London Fire Brigade’s car fleet, is to become fully 100% electric later this year. 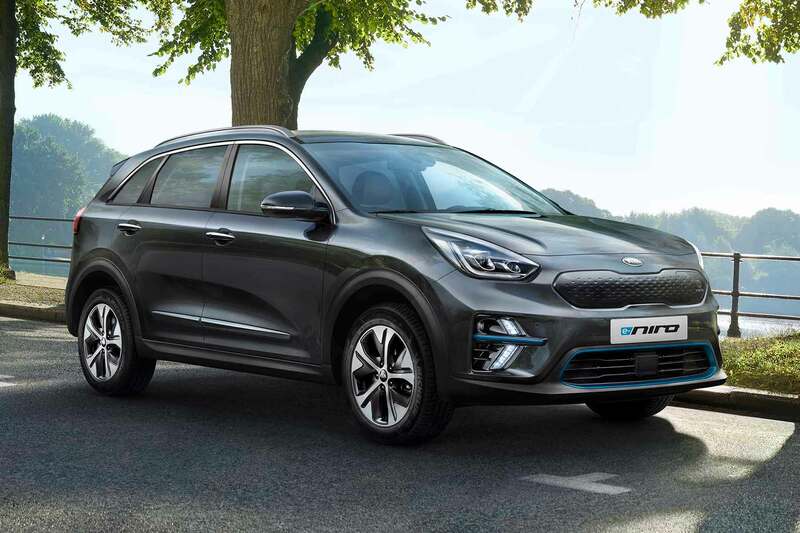 Launched by the Go Ultra Low campaign, the new ‘Company’ status is intended to help encourage more UK businesses to switch into electric cars. Already, it reports, there are 36% more EVs being registered today than at the same time a year ago. 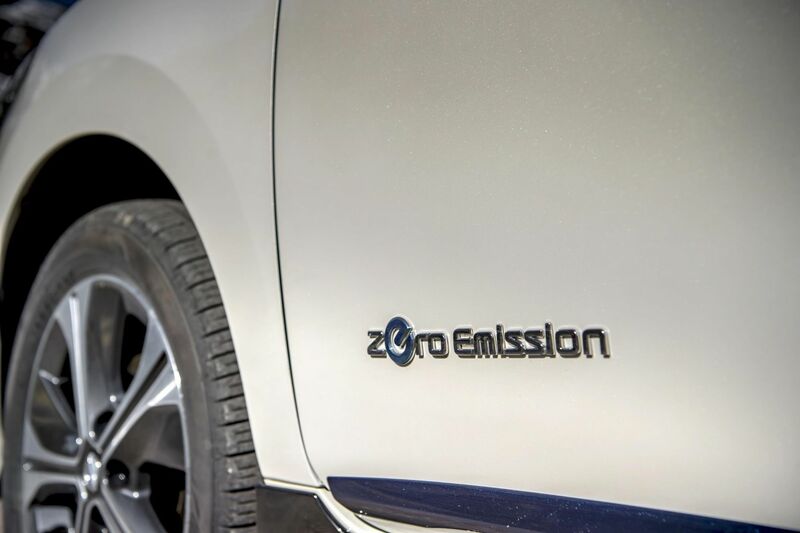 The initiative requires companies to demonstrate a commitment for EVs to make up at least 5% of their fleet by 2020 – mirroring the UK government target that EVs will represent 5% of UK new car registrations by then. One large Go Ultra Low Company, Microsoft UK, has already achieved this: the fleet is 6% EV today, and will be 20% EV by 2017. 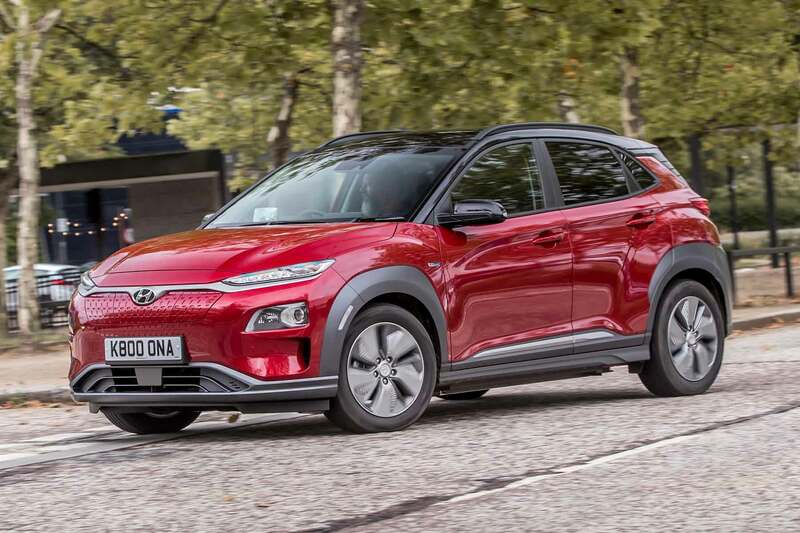 Between January to April, 13,065 plug-in cars were registered in the UK, an increase of 30% – and that 36% growth for businesses shows fleets are outpacing the UK average. 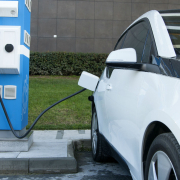 Two-thirds of electric vehicles currently sold are going to corporate and public sector organisations. Business car users seem to like them, too. 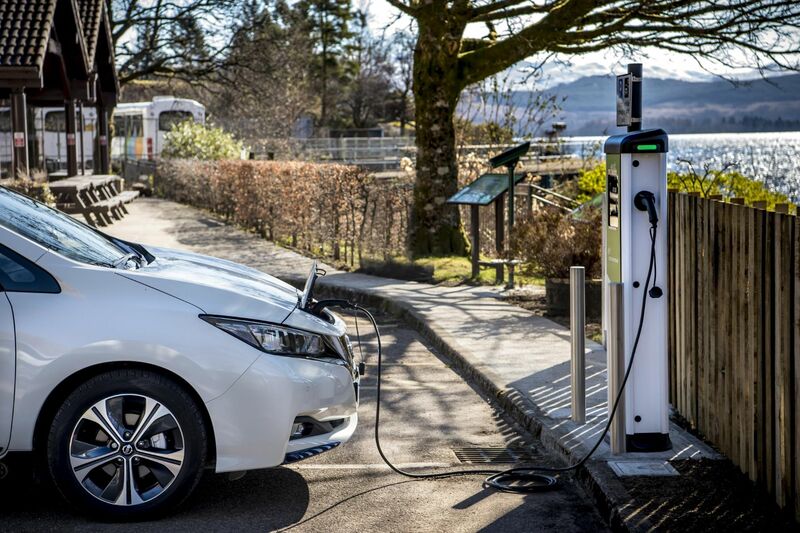 Microsoft UK car benefits manager Katie Colledge-Price explained that Microsoft UK first started offering EVs as company cars five years ago as “we could see the relevance of the new technology and the potential long-term cost savings. 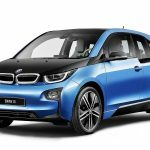 BMW will launch a revised version of its i3 electric car in July 2016, with a bigger battery capacity that extends the range to almost 200 miles. 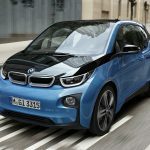 The i3 94Ah model gets a larger-capacity 33kWh battery that adds more than 50% to the standard NEDC-tested EV distance: BMW now claims a range of 195 miles in everyday driving. 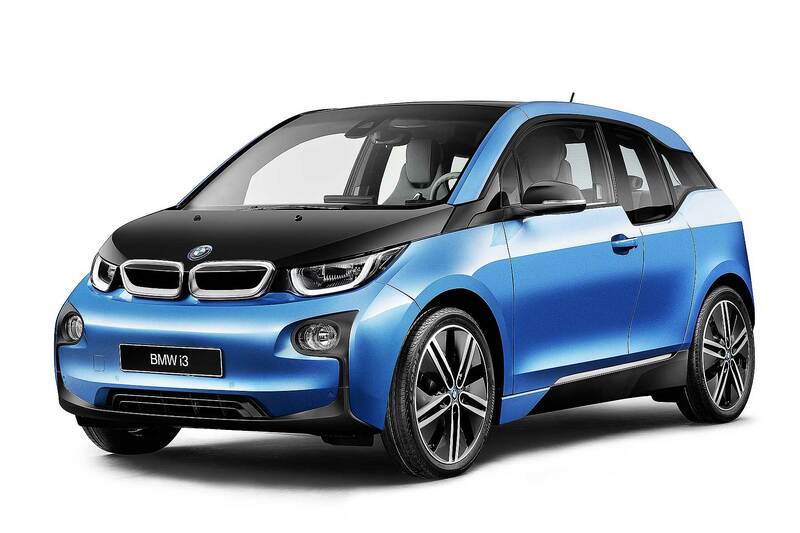 That’s despite the 170hp i3 EV also being capable of accelerating from 0-62mph in 7.3 seconds (naturally, you won’t get such a big range if you utilise this…). BMW does, impressively, also claim the full 195-mile range is available even if you use the air con or heating – “with no subjective loss of driving performance and agility”. Makes you wonder what the range is if you really decided to hypermile with all the systems turned off. BMW says the new battery is faster to charge as well: a DC rapid charge system is now standard. 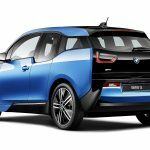 The arrival of the bigger-battery i3 94Ah, which will cost £27,830 including the £4,500 government OLEV grant, may now make the i3 Range Extender alternative a little less of a must-have. Costing £30,980, BMW does, however, claim an also-extended range of 276 miles for this version, many times more than the average daily drive (and not far shy of a conventional family hatch petrol car). 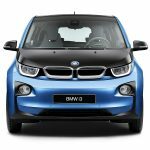 The i3 Range Extender, which has a tiny 31hp motorcycle engine in the rear to extend the range by 81 miles when the batteries are flat, emits a scant 12g/km on the official cycle – that’s 1g/km less than before, despite the bigger range. 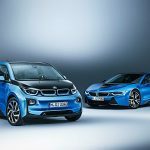 Other revisions for the bigger-capacity battery i3 EV include the introduction of BMW’s distinctive Protonic Blue paint, first seen on the BMW i8 PHEV supercars. 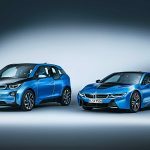 BMW has updated its interior trim packages, for more choice from the four ‘world’s: Loft, Lodge and Suite are joined by an Atelier interior trim ‘world’. 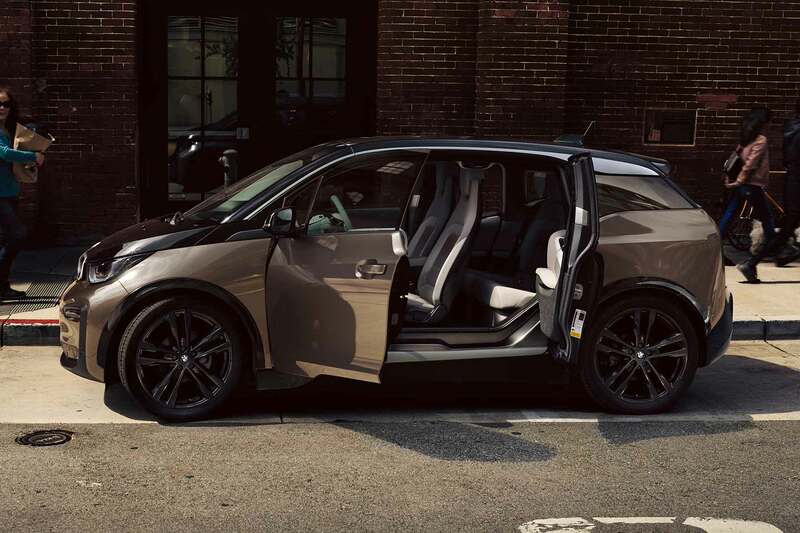 As before, all materials are a mix of naturally treated leather, wood, wool and other renewable raw materials – so, says BMW, “the sustainable premium character of the i3 (is) both visible and tangible”. BMW also reminds us the i3 is made in factories that use 70% less energy than normal plants, which are powered by 100% wind turbine energy. The factories even use 50% less water than normal facilities. 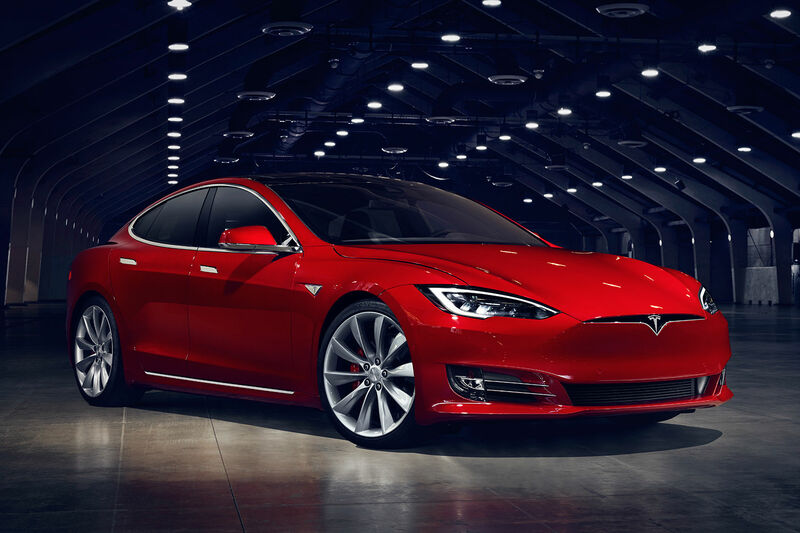 In a move that is most un-Tesla, the American car brand has released these pictures of its mid-life facelift for the Model S – and revealed that new interior trims will be available, featuring wood. Yes, the interior will come with two new interior finishes – called Figured Ash Wood and Dark Ash Wood. 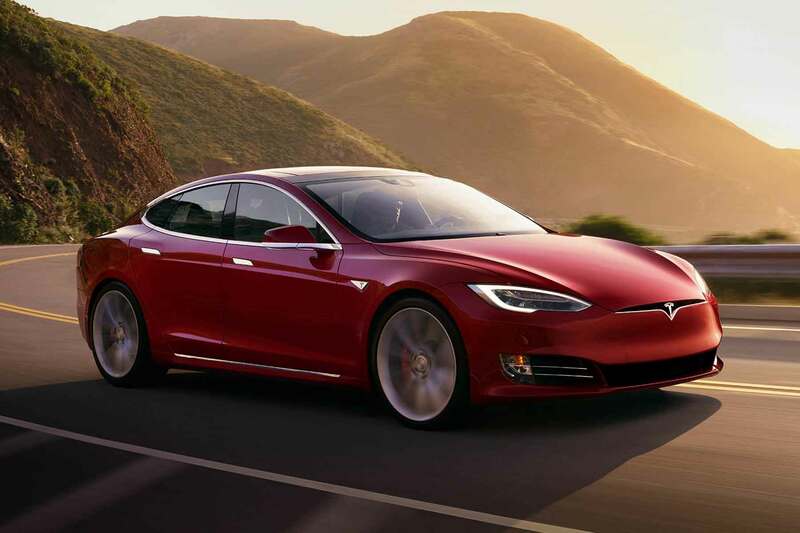 Outside, the new Model S gets a grille-less front-end (just how will it look with a number plate? ), as per the Model X and Model 3. 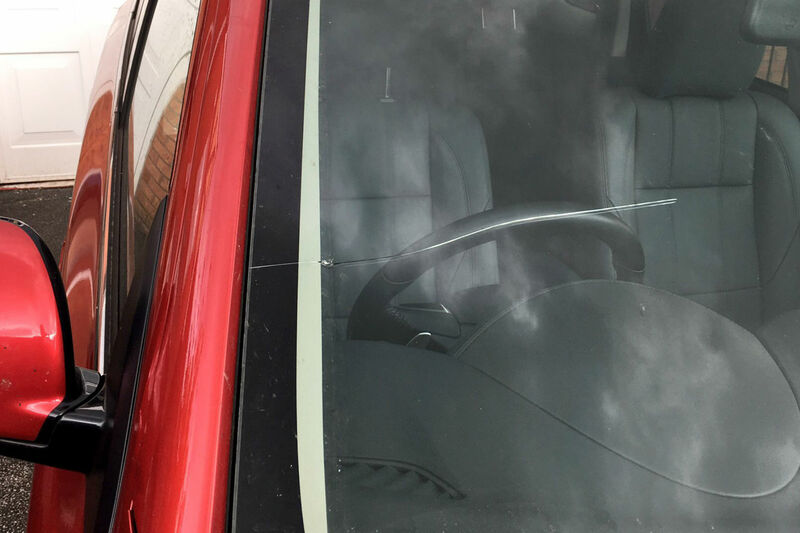 These pictures were leaked yesterday – Tesla responded by sneaking them onto its own press website and claimed that was its intention all along. As such, information is on the scarce side, but we do know the Model S will be getting yet more clever tech. Because Tesla. This includes the ‘bioweapons defence mode’ which, unfortunately, isn’t quite as exciting as it sounds. 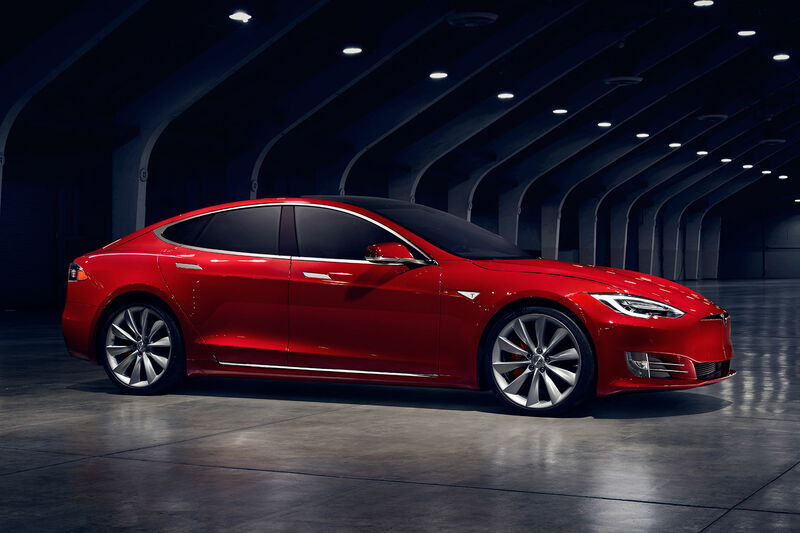 It’s essentially a fancy air filtration system which, Tesla says, is 100 times more effective than a regular cabin filter at removing particulate exhaust pollution as well as allergens, bacteria and contaminants. What could be exciting to existing owners is the faster charge time. 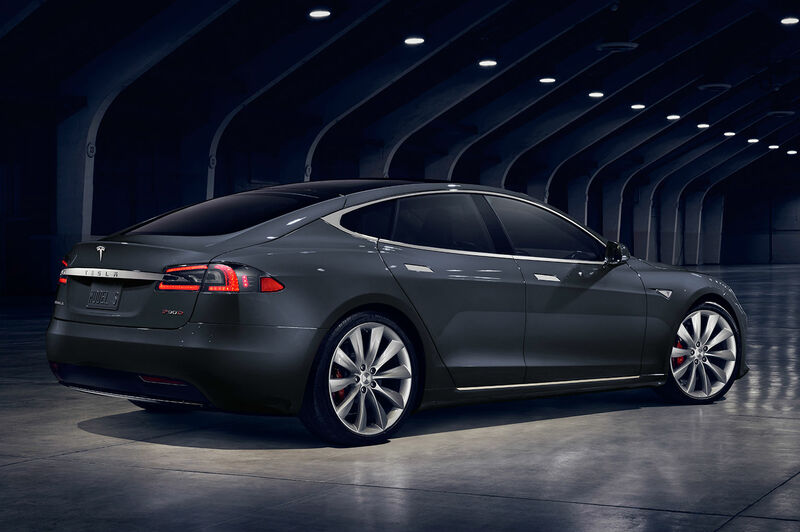 Although the electric motor remains unchanged, the standard charger has been upgraded from 40A to 48A, meaning charging from Tesla’s Supercharger network will be even quicker. Prices will start at £53,800 (post Government grant) for the entry-level 70D model, and American websites are speculating on a range-topping P100D model on its way. That’s yet to be confirmed – but the rest of the facelifted range is on sale now.